The English Romantic Poets were actively engaged in trying to create a new kind of poetry that emphasized intuition over reason and the pastoral over the urban. They favored natural, emotional and personal artistic themes; to express “the spontaneous overflow of powerful feelings,” this collection explores the lives and works of the three most prominent among them. An English poet, Percy Bysshe Shelley rejected conventional ideas about religion and politics and was influenced by the policies of the Enlightenment. William Wordsworth is known for his worship of nature, his humanitarianism, his early sympathy with democratic liberalism and his interest in the lives of the common people. He and his friend Samuel Coleridge were the early pioneers of English Romanticism. 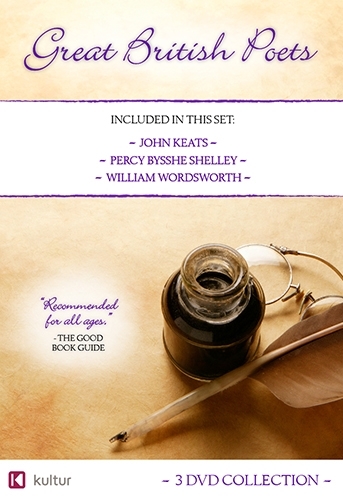 Probably the most talented of the English romantic poets, John Keats was highly prolific, and was known for the biographical value of his poems and for his philosophic insights.